"We were happy to back both sides to score in the first leg and expect another open and entertaining encounter this time around." Juventus expect to be close to full strength. Manager Max Allegri rested several first-teamers for Juve's 2-1 defeat at SPAL on Saturday. Ajax midfielder Frenkie De Jong is an injury doubt. He was taken off as a precaution in the first-half of Ajax's 6-2 win over Excelsior at the weekend after feeling a minor hamstring problem. Otherwise the visitors will be close to full strength. It's difficult to argue with the fact that Juventus are odds-on favourites to win the second leg in Turin on Tuesday night even though the first leg ended in a 1-1 draw. Juventus' greater European experience and pedigree cannot be overlooked as the two sides go head-to-head for a place in the semi-finals. Juventus are [1.75] to win on the night, with Ajax [5.7] and The Draw [3.95]. Travelling abroad will hold no fears for Ajax after their stunning 4-1 second-leg win over Real Madrid in the Spanish capital in the previous round. 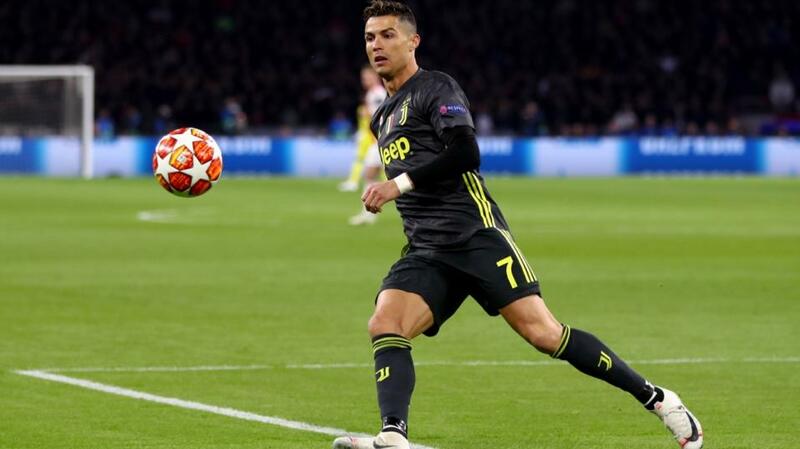 But Juventus can call upon memories of their remarkable 3-0 second-leg win over Atletico Madrid - overturning a 2-0 first-leg deficit - that they produced in order to claim their place in the last eight. Ajax have thrilled and entertained in getting this far, but Juventus' know-how and will to win ought to come to the fore this week. Cristiano Ronaldo is on a personal mission to claim this trophy with the Serie A giants having already collected winners' medals with Real and Manchester United, and his presence alone may end up being the difference between the teams. If the odds-on price on a Juventus win on the night is too short for you, consider backing the hosts on the Asian Handicap (details of how Asian Handicap betting works are here). La Vecchia Signora are available at around evens with a -0.5&-1.0 start. With this selection you'll make a small profit if Juventus win in 90 minutes by one goal and a bigger profit if they win by two or more goals. We were happy to back 'Yes' in the Both Teams to Score? market in the first leg last week and confidently expect an open and entertaining encounter this time around as well. Both teams have been more impressive offensively than defensively in this season's competition and that's likely to become apparent once again as the game unfolds. Ajax have to score at least once to stand any chance of going through. This state of play may not encourage the visitors to attack from the outset but at some stage they'll almost certainly have to take risks to keep alive their hopes of progressing in the competition. Juventus are comfortable with or without the ball and will be confident they have the firepower in their starting line-up and on their substitutes' bench to cause Ajax's back line considerable problems throughout the 90 minutes. Over 2.5 Goals is [1.9], with Unders [2.08]. Given the relative strengths and weaknesses of the two sides, and the manner in which the game is likely to unfold, we're happy to back the shorter of these two options.